Free Paytm First User Membership of 1Year. 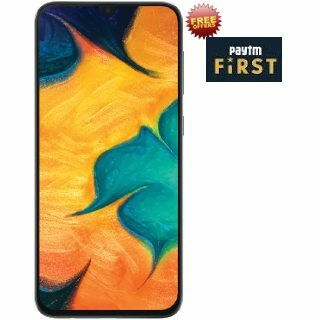 Paytm Mall offer- Buy Samsung Galaxy A30 and get free 1 year Paytm First membership. Paytm First 1 Year Membership (Rs.360 Cashback, Rs.1200 worth Movie Tickets, Rs.1000 worth discounts on Uber Ride Pass, Rs.499 worth SonyLiv, Rs.750 worth Zomato Gold, Rs.2400 worth Ubereats & many more). This highly featured smartphone has 4000MAH Battery and 1.8 GHz Exynos 7904 Processor. So get Hurry! Offer for limited time period.